Egnater Pedals — Goldsmith, Silversmith & Black Metal ... COMING IN AUGUST! 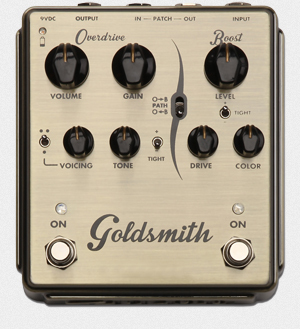 The Goldsmith is a 100% analog, two-in-one Overdrive and Boost pedal. The Overdrive section boasts an extremely responsive tone control along with Gain and Volume knobs to deliver a vast array of saturated tones. Voicing allows you to accurately sculpt the critical mid- range frequencies. 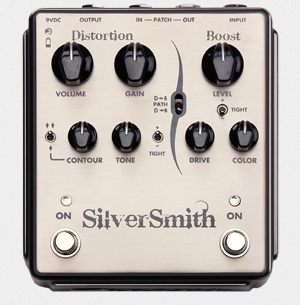 The Silversmith is a 100% pure analog, two-in-one Distortion and Boost pedal. The High Gain Distortion section boasts an extremely responsive tone control along with the Gain and Volume knobs to deliver a vast array of seriously saturated tones. 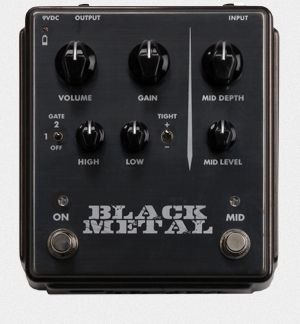 The Black Metal is a 100% pure analog high-gain distortion pedal that summons everything from classic to modern metal. The High and Low EQ knobs, coupled with Egnater’s signature Tight switch, allow the Black Metal to handle lower tunings while staying tight and defined. Egnater has been on the forefront of innovation for over 30 years. Our amplifiers offer an array of outstanding tones and unique features that set us apart. We realized the next natural progression for us was into the pedal world. As always, we first ask ourselves what we will do to make Egnater pedals unique. Since TONE FIRST, is our credo, outstanding tone was at the top of the list. Next, what special and useful features will we offer? We came up with a number of great ideas. The Black Metal pedal features our fast gate and the footswitchable midrange section. The Goldsmith Overdrive and Silversmith Distortion pedals have similar layouts but each is finely tuned for specific sounds. The Goldsmith is the lower gain of the "Smiths" offering just the right amount of gain for "classic" levels of drive. The Silversmith is more aggressive offering a much higher level of distortion. Both are combined with our especially versatile "Boost" pedal into one manageable, heavy duty cast zinc enclosure. The "Smiths" have expanded control over the midrange (Voicing and Contour) and the low end with the Tight switch. The Path switch lets you choose the order of the two pedals or, using the Patch jacks, you can actually separate the two into separate pedals that you can place anywhere in you pedal chain. Our low battery monitor prevents you from ever being embarrassed again by a dead battery. All of our pedals warn you when the battery is getting low and even switches the pedal out if you decide to take your chances on a weak battery.